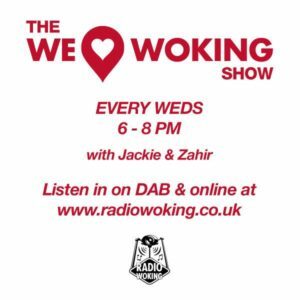 The WLW Show Weds 21/11/2018 – York Road Project, Interview with a Zahir. We usually interview guests from around the area to learn and share about what they do. The tables are being turned this evening! 6pm – Our guests are Stephen Barker and Matti Lewis who are both residents at The York Road Project, and they will be interviewing Zahir on air. It is for the YRP Newsletter, so we’ll be finding out more about that and hearing a little from the guys about themselves! In the second hour, we have events & happenings from around the area, and in the lead up to Christmas there is always so much going on, so Lots to mention this evening! Plus we have the best mix of music to light up your evening……..is to too early for a Christmas song yet?? Join us 6-8pm Live here on Radio Woking. Online and DAB. To listen on your mobile/tablet you can download the free Radio Woking app, available from your phone app store.